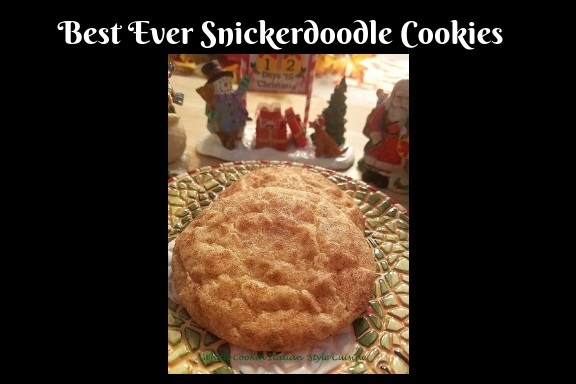 I have had made many recipes for snickerdoodle cookies. Nothing compares to this one. The buttery cookies are tender and crunchy mouth watering while baking cookies. 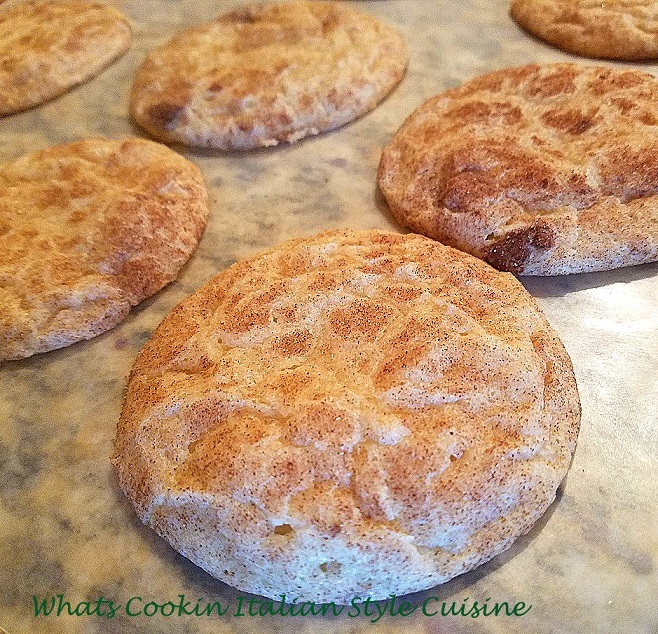 The snickerdoodles are by far the best ever cinnamon fall sugar cookie ever! I can't even tell you how many I have made that never compared to this recipe. Scroll down to get this recipe and get in the kitchen and make these this fall! Mom always made cookie from the basic ingredients in the house and this was one of them. We always had flour, sugar, butter, cinnamon, eggs and butter. This was a favorite cookie then and now. These cookies are really a year round childhood favorite. We bake lots of cookies for the holiday season and this one just shouts fall with the cinnamon coating. I love making these for the Christmas holiday tray. 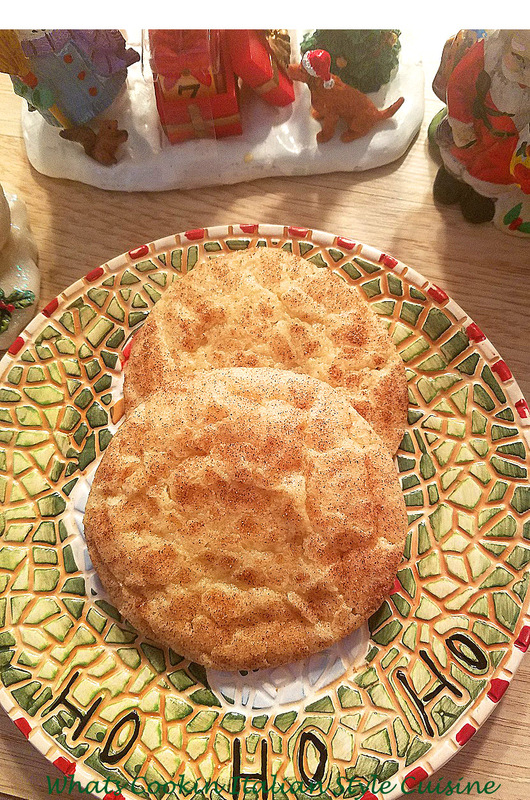 A snickerdoodle is a childhood favorite. These cookies have been around as long as I can remember. Mom use to make them when I was a child, that was in the late 1960's. We love the smell of them. They kind of remind me of a buttery sugar cookie with cinnamon and sugar on top. The ingredients are usually always in the house. They go great with a cup of flavored teas, especially a cinnamon tea. An easy cookie that most folks have everything in the house to make them anytime with these basic ingredients with an exception for cream of tarter, that is one you will probably have to invest in. Tip: If you don't have cream of tarter you can substitute lemon juice. For every 1/2 teaspoon of cream of tarter you can use 1 teaspoon of lemon juice or white vinegar. It's a crunchy outside, soft inside cookie rolled or topped with cinnamon sugar. I love the whole cookie drenched in the sugar not just the tops. The original way to make them is sprinkling the cinnamon sugar on top. The cinnamon sugar recipe is listed in this recipe. If you love cinnamon flavor as much as we do, add more to your taste. When I make these cookies, I have two kinds of lovers in the house on how to bake them. One loves them thin and crispy, the other thick and chewy. The thin ones are flattened with the bottom of a floured glass. The thick ones are rolled into balls and baked. 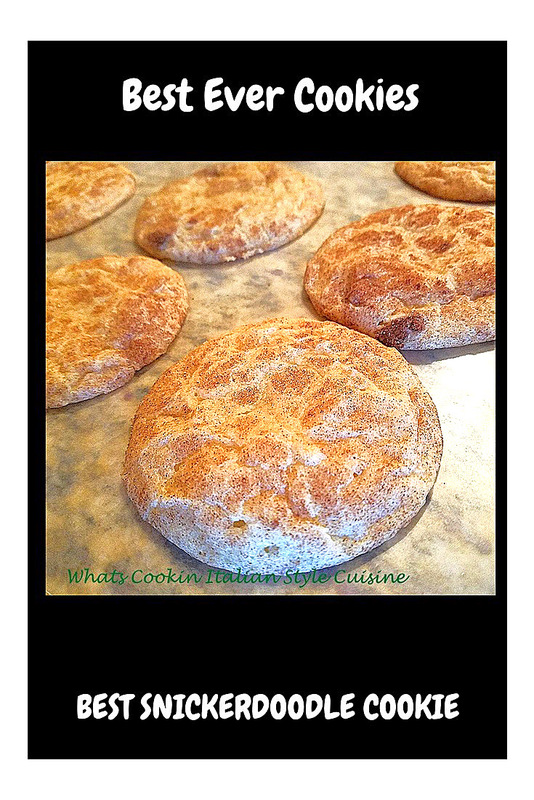 This is one of the easiest doughs to mold. 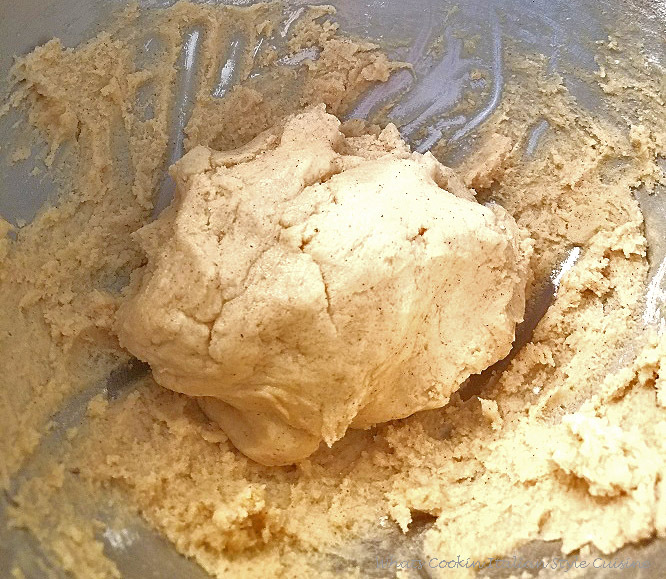 The dough stays together and easy to roll. I do not use more flour as I don't want to dry them out. 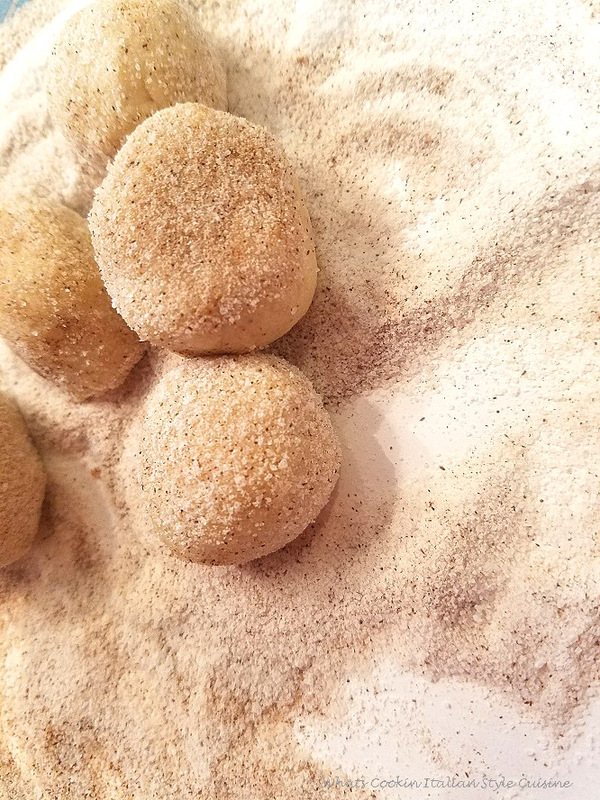 Roll them in the palm of your hand or use a melon ball scoop, add to the cinnamon sugar and add to your cookie sheet. I usually use a silpat mat or parchment paper to bake them on. These are childhood cinnamon sugar cookie. These cookies are crisp and buttery, crunchy outside soft inside with cinnamon and sugar coating. Preheat oven to 375 degrees. Place the dry ingredients in a bowl set aside. In a mixing bowl cream the sugar and butter together. Add the egg, milk and vanilla. Blend with the dry ingredients until all is evenly mixed together. Add cinnamon if using. We love these with the cinnamon in the batter. Put the cinnamon sugar mixture in a pie plate. 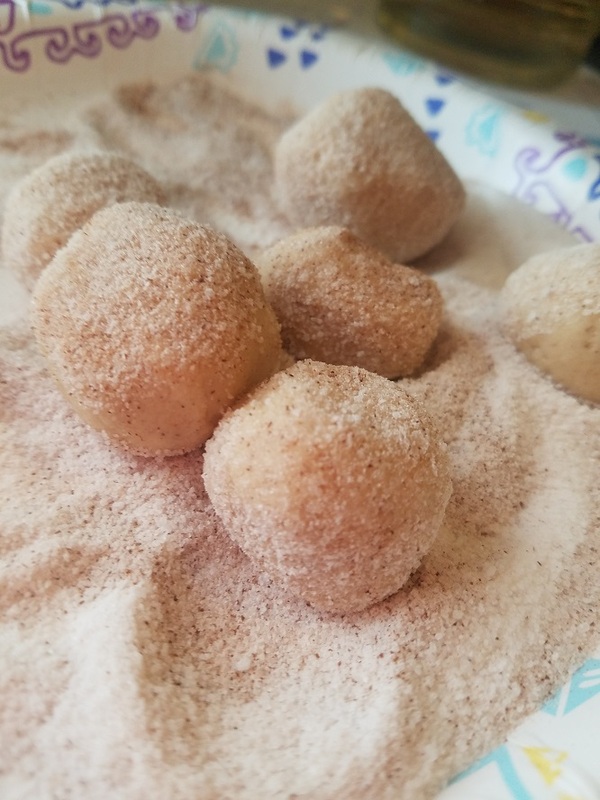 Using a small melon ball scooper, scoop up some dough and add to the cinnamon sugar rolling evenly. 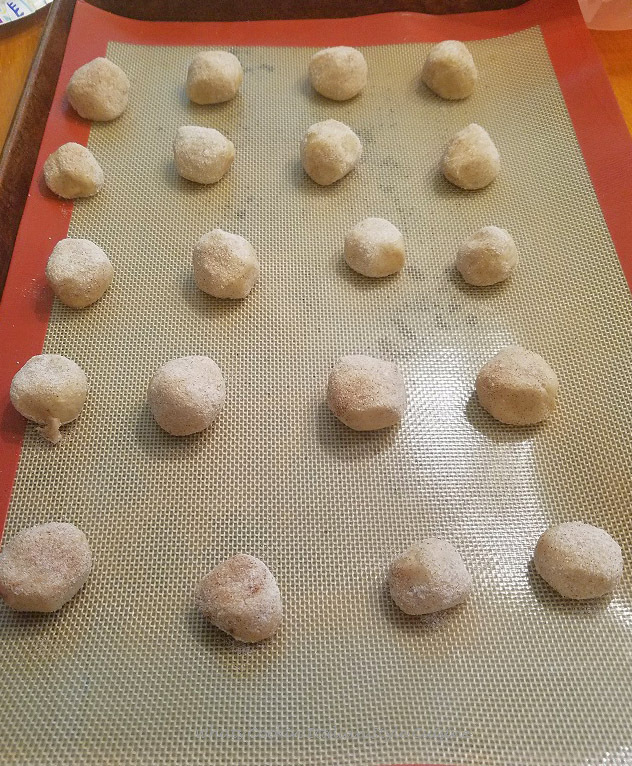 Press down with a floured glass for thin cookies, or just roll into balls for a thick cookie. The thinner cookies will be much crisper in texture. Place on a parchment lined cookie sheet. Bake at 375 degrees until set around 7 minutes. Don't forget to check out my 24 Christmas Cookie Favorites! Great cookie, yum! Merry Christmas! My youngest loves these! He's home for a few more days so hope I have a chance to treat him to your recipe! I love that these cookies need only 7 minutes in the oven! I'm with you! Definitely coat the whole cookie with that glorious cinnamon-sugar! And soft on the inside, crunchy on the outside is just perfect. Great recipe! 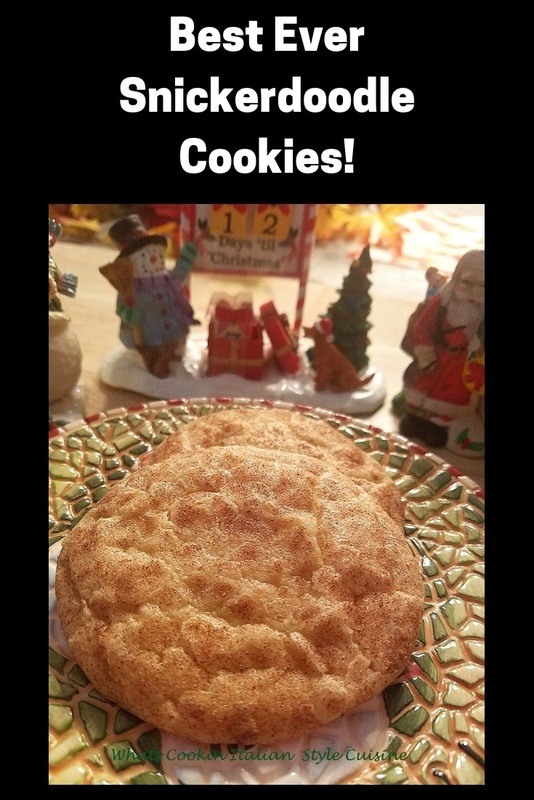 I always make my Grandma's snickerdoodle cookies at the holidays. I have found memories of snickerdoodles! I have definitely not eaten enough snickerdoodle cookies in my life. These look just perfect and are on my list for Christmas now! Drooling all over these cookies! Perfect kind of food to snack on all winter long! mmm this cookie is great.I LOVE how easy and delicious this is! Good idea! Looks very tasty! I am going to make this! This recipe really impresses! I really like! Thank you. I can not wait to try these cute cookies. I like that there is cinnamon. I love cinnamon. Great idea with a cup of coffee or tea. I'm sure it's incredibly tasty. Thank you for sharing this. This is such a great classic cookie. It's one of the first ones I made before I was even a teenager. Our neighbor gave me a cookbook for my birthday and I would love picking out recipes. This cookie sure brings back delicious memories. My youngest daughter's favorite cookies are snickerdoodles! I love your delicious scrumptious recipe for this all-time favorite. I love when something tasty can come together with just staple ingredients. I haven't had a snickerdoodle in a really long time and these looks very tasty! 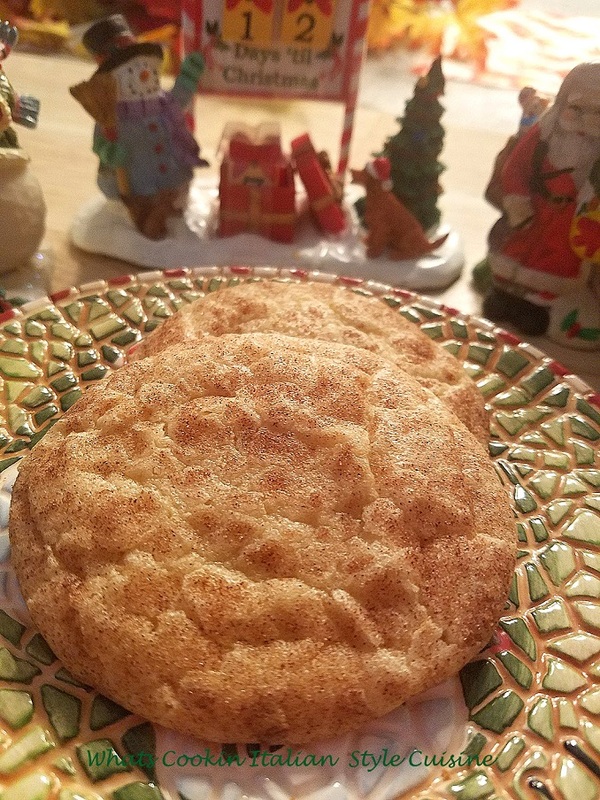 Snickerdoodle cookies are one of my favorites during holidays. They are MUST on our family table. Yours looks delicious. I would love to have one right now with my coffee.